I’m old school when it comes to the Adelaide Fringe. I like seeing simple shows that hold a mirror up to ourselves, rather than the razzle-dazzle of big spectaculars or the “cashing in” of TV and radio “personalities”. And so it was that the opening moments of Barista Chronicles took me right to where I wanted to be. 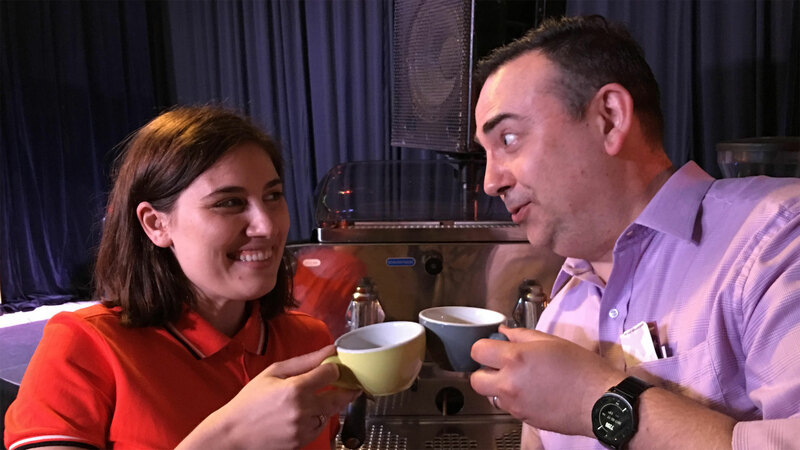 Maria Humphreys took to the stage, donned her barista’s apron and began a 45-minute theatrical storytelling of her life as a barista named Poppi. Maria’s performance is disarming. She can conjure the stage presence of an attractive, vulnerable and subservient hospitality worker, and then flick a switch and deliver some ice cold, razor sharp insight into our behaviour in cafes and relationships. The magic in this performance is not in it being high energy or smoothly polished like exquisite latte art. Rather, the charm of Maria’s at once both self-conscious and sublime delivery of her lines is what creates the elegance and stamps the show’s right as being part of the Fringe lineup. We leave, knowing her character more deeply than we probably know the people we sit with in cafes while buried in our own screens. Maria extracts the right balance of laughs and reflection, served with a crema of self-revelation that at once sweet and poignant. The Barista Chronicles has restored my faith in The Adelaide Fringe as a place that can nurture ideas and experiments, and surprise us by introducing us to the talented who live among us. This show is my cup of tea! We thoroughly enjoyed Barista Chronicles! Hilarious at times and poignant as well as a touch of refreshing honesty which may make the narrow -minded squirm. A must see Fringe show! Went there last night and fully agree with Steve Davis. Mesmerised for 45 minutes. Well done Maria. I believe she may do another show. Are there going to be more shows? Sounds like a good one! Yes, Sky, March 18 and 19 at 3.15pm.